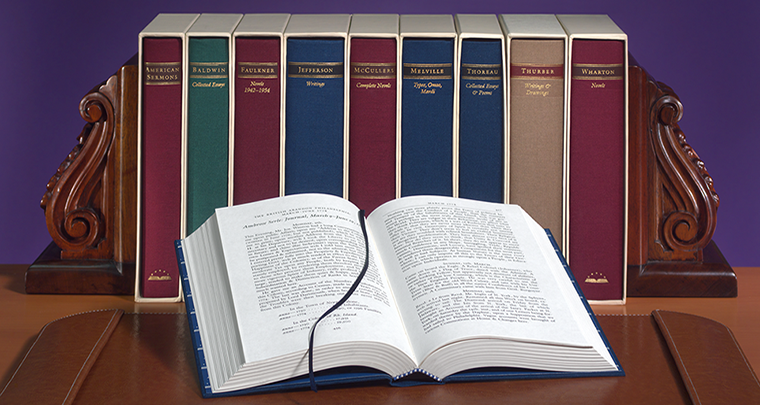 The Library of America series may be purchased on a convenient subscription plan at discounted prices. As a subscriber you pay only $25.95—25% to 45% off bookstore prices—plus $4.95 shipping and handling ($8.50 Canada; $15 other countries). Review all new and previously published titles before deciding which to add to your personal library. Each volume is bound in durable cloth, includes a ribbon marker and elegant flyer with jacket copy, and comes in a handsome, sturdy slipcase to protect and enhance your collection. These custom slipcases are available only to subscribers. We guarantee you'll never get a book you do not want. If you already have a particular book, you're simply going to return it—so we would rather not send it to you in the first place. We'll send you a list of the available books with your first volume, and you mark the ones you do not want to review as part of your subscription. There is no minimum number of books you must buy, and you may cancel your subscription at any time. Examine our books for yourself. There is no obligation. You can start your subscription by examining one of our introductory offers. You may return it for any reason within 15 days and be under no further obligation. If you decide to keep the first volume, future volumes will be sent on approval approximately every six to eight weeks. Each book comes with the same 15-day review period and can be returned without discontinuing your subscription.